We are big believers in the power of 3D printing to allow labs and scientists to share their inventions around the world, making experiments easier and scientific progress faster. We bought our first MakerBot in April of 2012, and our current “Fleet” of 3D printers at Backyard Brains now numbers three (two MakerBot Replicator Originals (wooden), and one MakerBot Replicator 2X). We use our 3D printers for both design and production. 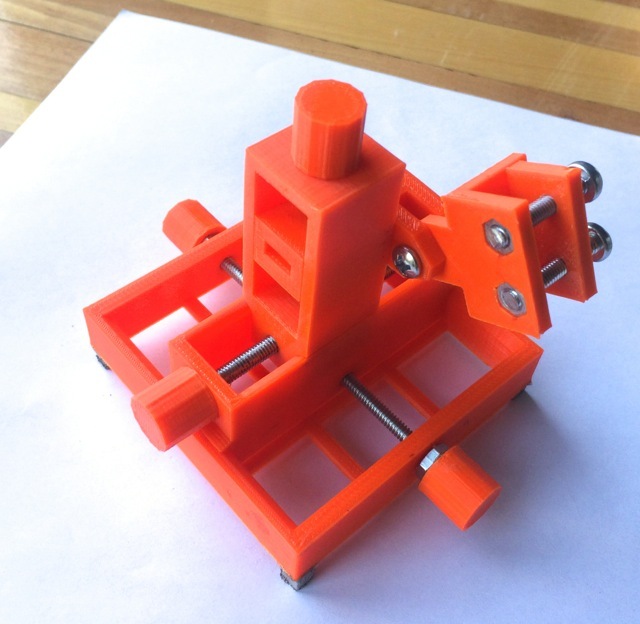 Our Manipulator, RoachScope, and Completo are made to order hot off the 3D printing platform! We have all our 3D designs and .stl files available on the product pages, and occasionally an enterprising gearhead scientist decides she/he doesn’t need to buy our tools and can just build the equipment from our files. We like that, as scientists being scientists, they often tweak the inventions for their own needs, using their creativity and hands to create something new. Being a rational Europoean scientist, he converted the design to use metric screws rather than the silly imperial screws we use. Look at what he came up with! His design is now available for you as well!! 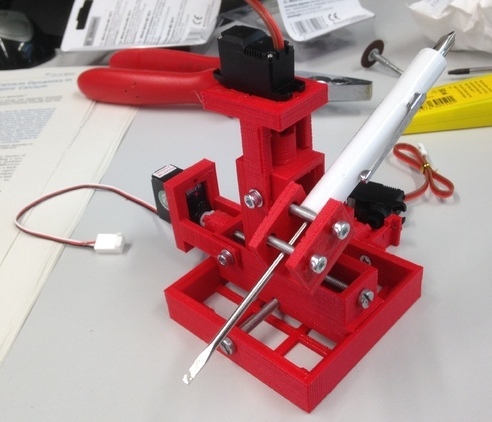 He posted all his design files on thingiverse, and you can now tweak his modification too. Hack away intrepid inventors and scientists!